Wacoal Corp. will open its fourth "Kyo no Ondokoro," a townhouse created by renovating a traditional Kyoto-style traditional house, in the South of Kyoto Imperial Palace on March 30, 2019. All of Wacoal's four Kyo no Ondokoro townhouses are conveniently located as starting points for sightseeing in the ancient capital. Guests can exclusively use the townhouses during their stays and feel as if they were living in this old city. Wacoal launched the Kyo no Ondokoro project in an effort to solve a social challenge Kyoto faces -- decreasing Kyoto-style traditional houses. The company leases such townhouses and remodels them into accommodation. After being used as accommodations for more than 10 years, the structures will be returned to their owners following renovation. Kyo no Ondokoro are designed to suit the lifestyles of Japanese people so that their owners can live there after the structures are used as accommodations for over a decade. Therefore, visitors to Kyoto can contribute to the preservation of the ancient capital's streetscape by staying at Kyo no Ondokoro. 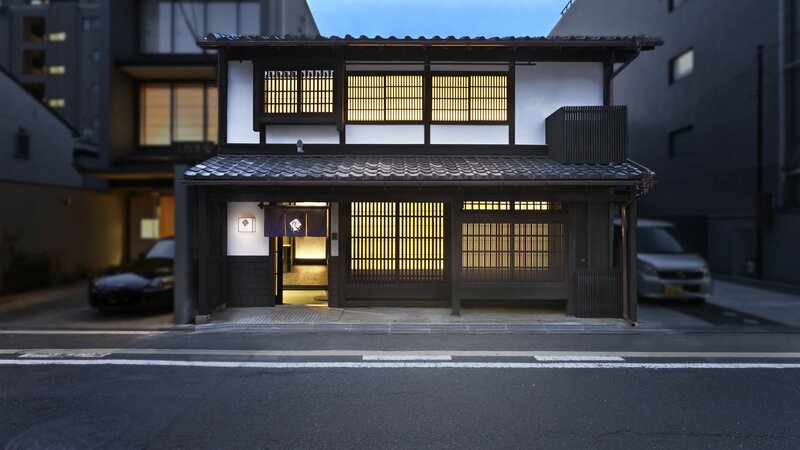 While preserving the exteriors of Kyoto-style traditional houses from which people can feel the history of the ancient capital, the interiors of the townhouses have been renovated to suit the modern lifestyles. All the Kyo no Ondokoro townhouses are equipped with floor-heating systems to allow guests to stay there comfortably in winter and have bedrooms with wooden floors. Since the townhouses are designed as residences, various ideas have been incorporated in the structures to allow guests to feel familiar with Kyoto as if they were living there and to give them a joy of staying in this old city. For example, each of the Kyo no Ondokoro townhouses has a user-friendly kitchen, which is equipped with not only pots, frying pans and other cooking devices but also dishes and bowls. Guests can buy local ingredients at markets and enjoy cooking as part of their trips to Japan. Wacoal also provides guests with information on recommended restaurants and tourist spots that meet their needs. The townhouses, which are fully equipped with Wi-Fi, washing machines with dryers and clothes irons, are suitable for long stays. -- Keeping and transporting suitcases and other baggage. *"Kyo no Ondokoro" is Wacoal Corp.'s registered trademark.